Obituary for Earnest Collins Tapley | Joynes Funeral Home, Inc. 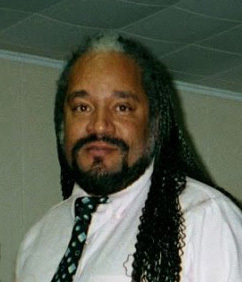 Earnest Collins Tapley, 58, of Four Oaks, NC, passed March 21, 2019, at Duke University Medical Center, Durham, NC. He was born on May 3, 1960. Earnest is survived by his wife, Dorothy Parker of Four Oaks, NC; five sons: Michael Tapley and Nicholas Tapley both of Ruckersville, VA, Theodore, Takota Tapley and Jackson Tapley all of Four Oaks, NC; one sister, Queenetta W. Anderson of Reston, VA; and four grandchildren. Family will receive friends on Friday, March 29, 2019, from 10 am until 11 am with funeral services starting at 11 am at Mt. Nebo Baptist Church, 4679 Free State Road, Marshall, Virginia, 20115. Pastor Rodney L. Smith Sr. will deliver the eulogy. Interment will be in Mt. Nebo Baptist Church Cemetery, Marshall, Virginia.